Listen to "The Mental Game of Baseball: A Guide to Peak Performance" on your iOS and Android device. In this book, authors H.A. 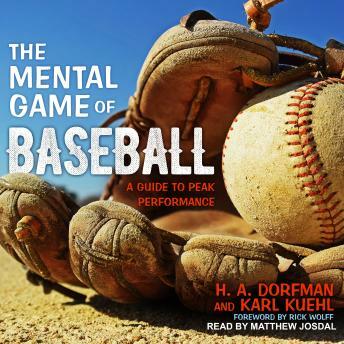 Dorfman and Karl Kuehl present their practical and proven strategy for developing the mental skills needed to achieve peak performance at every level of the game. The theory and applications are illustrated by anecdotes and insights from major and minor league players, who at some point discovered the importance of mastering the inner game in order to play baseball as it should be played. Intended for players, managers, coaches, agents, and administrators as well as fans who want a more in-depth look at the makeup of the complete baseball player.